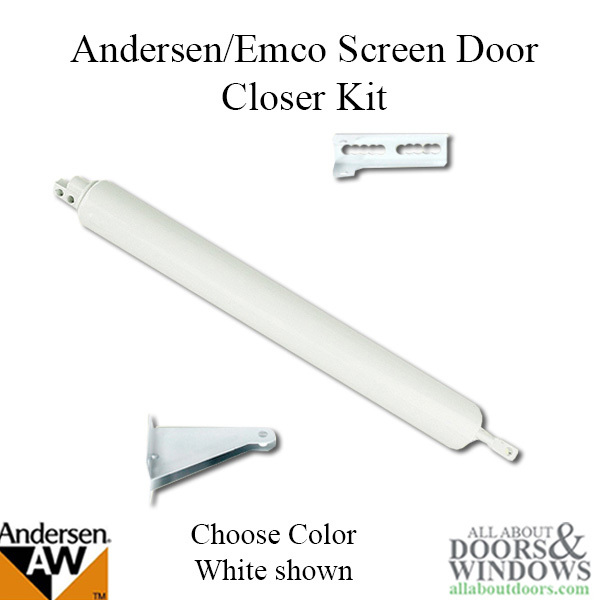 Used by Andersen, Emco and others. Tube diameter measures 1-1/4 inches at the door end and 1-1/2 inch at the push button end. Overall Tube Length 11-3/8 inches. 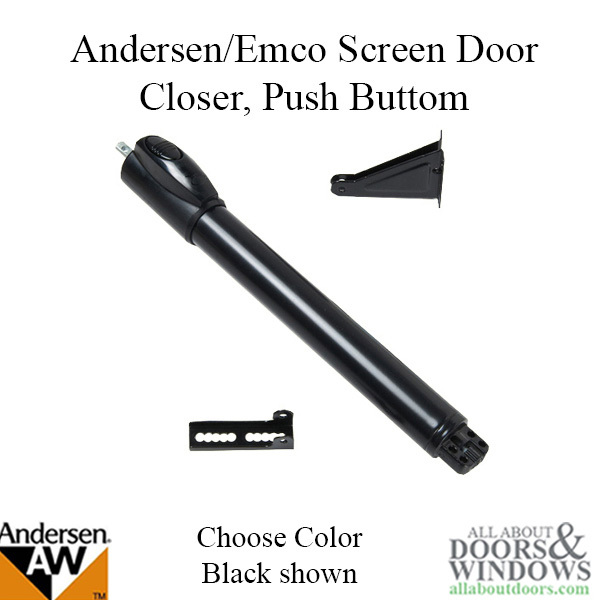 Replaces many light and medium duty closers. 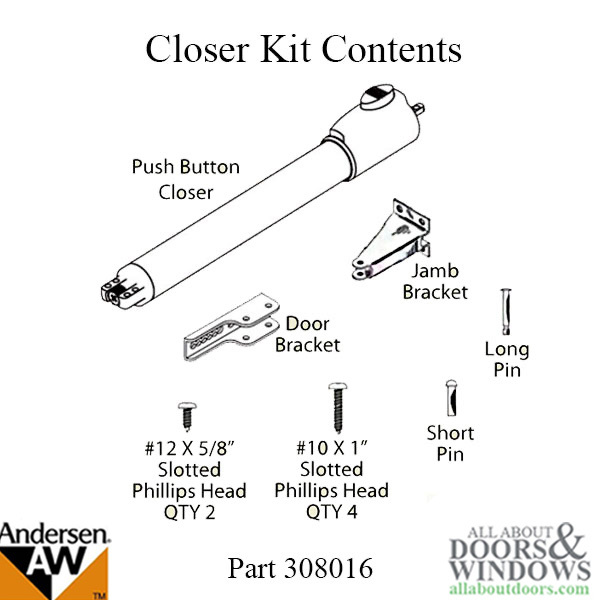 Sold as a kit, complete with 1 Push Button Closer, Brackets and Screws. 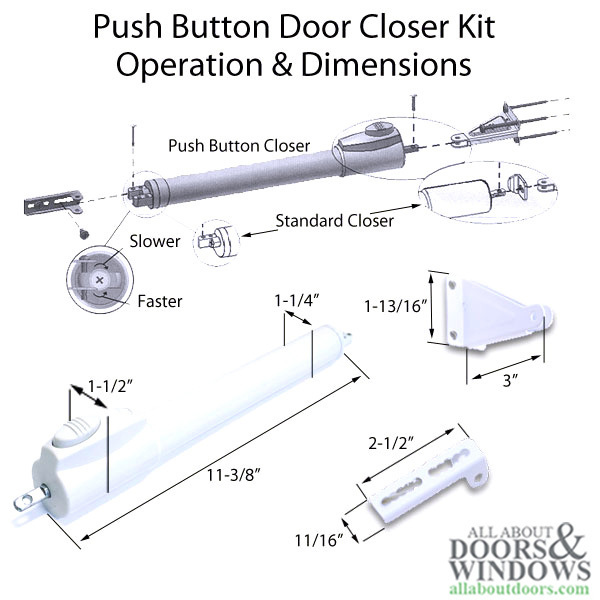 The Push button closer is designed to be used with a 2nd closer at top of door. 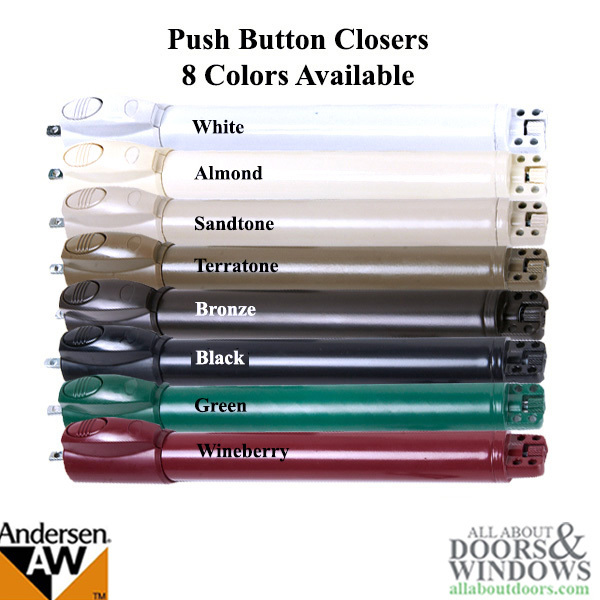 If the push botton closer is over extended when opening, it might hang up and when pushing the button it might not release the storm door. If this happens, push the door open further and this should reset the push button closer.